Beautifully updated rooms and amenities. Complimentary shuttle service and a short walk to many Buckhead services. MARTA rail provides easy access to the airport and downtown venues, and is less than two blocks away. A limited number of rooms are available at this rate. 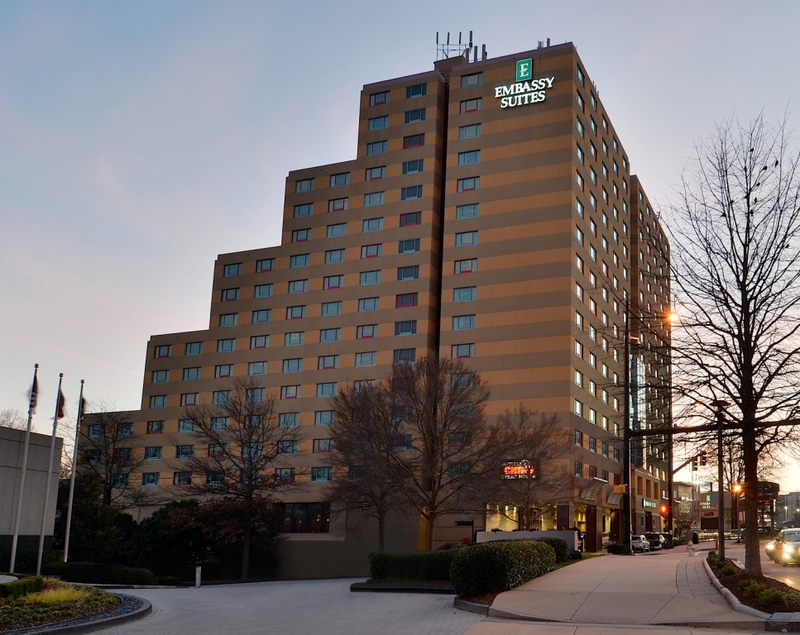 To guarantee the group rate we recommend reserving as soon as possible as once the room block is met, your rate will reflect the regular room rate for Embassy Suites in Buckhead Atlanta. Click the "Book A Room" button and proceed with your reservation. To reserve by phone call 1-800-EMBASSY and request the group rate for 2016 SBCNA Conference. NOTE: The cut off date for guests to make reservations under the group rate expires Friday October 21st. ***Please note that staying at the conference hotel helps the association meet our contractual obligations to the hotel, keep our overall meeting expenses as low as possible so that we can insure a successful and comfortable conference experience!